Looking for an all inclusive spa vacation? We have many great spa resorts located throughout this website and many all inclusive resorts have spas. Here are some of our favourite ones. Includes a basic all inclusive plan with optional extras available. VIDEO BELOW: Le Blanc Spa Resort includes access is world-class dining, double whirlpool tubs, butler service, and unlimited access to the spa hydrotherapy area. More information on our Cancun Adult All Inclusive Resorts Review. Sandals has some great offers which offer huge amounts of spa credit at its all inclusive resorts across the Caribbean. SPECIAL OFFER: 65% off, instant air credit and MORE. 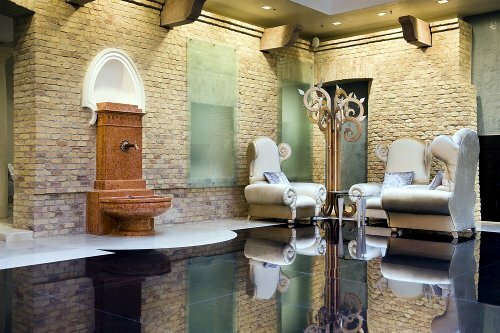 U Spa By Constance offers traditional spa treatments is not underwater but the design lets you look down on passing fish as you enjoy a massage. The spa itself is on the jetty and the treatments are unforgettable. The Brando is a near Tahiti is on French Polynesia’s private island of Tetiaroa and is noted as having one of the best spa resorts in the world and each stay includes a daily treatment at the Varua Spa. One of the best places to enjoy a taurumi massage with the original monoi oil. The Deep Ocean Spa uses deep ocean water pumped from depth and is managed by the famous French Company - Algotherm. 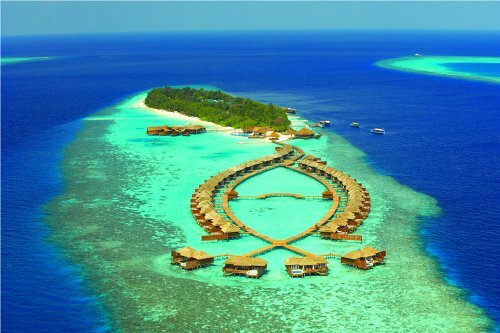 The Maldives is one of those special places and in terms of resorts, you get an amazing stay here. The spa at the Per Aquum Huvafen Fushi is promoted as as the world's best underwater treatment area and is part of the wider LIME spa. While not everything is included it pretty cool to enjoy treatments to the sounds of bubbles and tropical fish. A 5 star resort with 125 guestrooms, private beach 2 restaurants, full-service spa, kid's activities, children's pool and more. Get's perfect scores from reviewers! Get more information on Lily Beach Resort or see the latest reviews. Many of the best all inclusive spa resorts in the world are in Europe. See our all inclusive resorts in Europe for more options or see the feature on The Best Europe Spa Resorts. Located in Tuscany, this resort has therapeutic waters. There's a kids club, guided walks and a great spot for the whole family. More information on the Adler Thermae Spa & Relax Resort. Oasis Spa Villas at Couples Tower Isle in Ocho Rios, Jamaica. If you stay in this villa you get all-inclusive spa services. Imagine that - All inclusive spa treatments all day! Interested in the Caribbean beaches in Antigua? Check out more Antigua Spa Resorts on our Antigua all inclusive resorts page. A 4 star all inclusive resort that gets high ratings from past guests. It's adults only, has 3 restaurants, pool and a full-service spa. In St. John's. 4 star all inclusive family resort that gets excellent reviews. Full-service spa in Antigua. More on The Verandah Resort and Spa. Couples only all inclusive resort with 11 restaurants, 6 pools, great full-service spa, tennis courts and all on the beach. Get more information on Sandals Grande Antigua All Inclusive. Aruba is another great Caribbean beach destination. 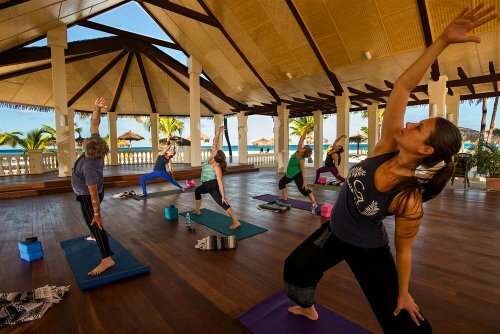 To see more spa resorts in this area, visit Aruba all inclusive resorts page. Located in Oranjestad, Aruba, this 4 star resort has 72 rooms, a white sandy beach, full-service spa, beach cabanas and more. Great for families. Get more information and see the latest reviews for Manchebo All Inclusive. A great spot on the beach and especially for snorkeling. See more on Bahamas all inclusive resorts. Couples only all inclusive with a full-service spa and winner of the prestigious Five Star Diamond Awards. 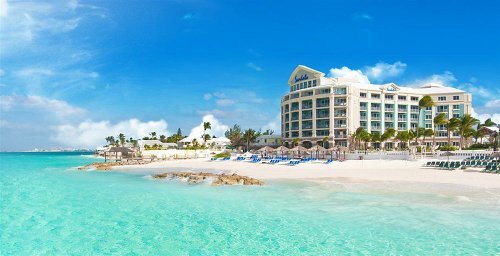 Get more information and see the latest reviews for Sandals Royal Bahamian Resort. See all of the all inclusive resorts in Barbados. 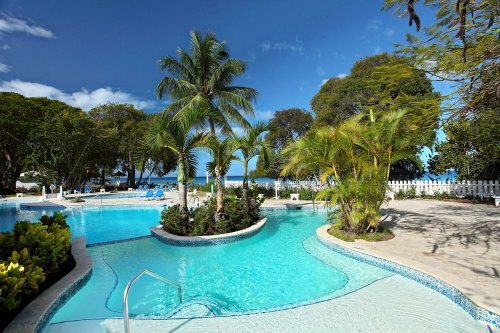 An adults only all inclusive spa resort with around 161 rooms, golf and more in St. James, Barbados. Get more information and see the latest reviews for Almond Beach Resort. Costa Rica is another great spot full of history, great weather and Caribbean beaches. See more spa resorts on our Costa Rica all inclusive resort reviews. A large sized resort with a championship golf course, kid's club, workout facility, a spa and lagoon style pool. Get more information and see the latest reviews for The Westin Golf Resort & Spa, Playa Conchal. 310 rooms on a private beach with a great spa, 5 restaurants, kid's club, and tennis courts. 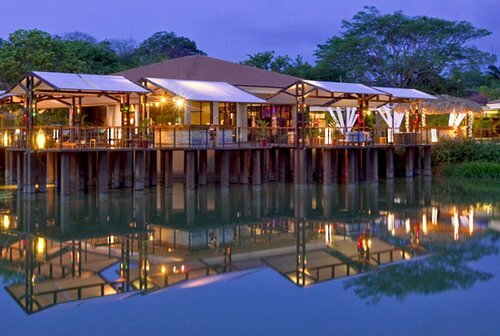 Get more information and see the latest reviews for JW Marriott Guanacaste Resort. See all the great spa resorts on the Cuba all inclusive resort reviews. White sandy beaches, guestrooms, suites and villas, adults only, luxury and close to a coral reef. Spa has a good variety of treatments and hydrotherapy. Located on one of the best beaches in the Dominican Republic, this 4 star resort is quite large with 751 rooms, casino. 8 restaurants, 3 pools, nightclub and full-service spa. Get more information and see the latest reviews for Dream La Romana. VIDEO: Welcome to Breathless Punta Cana Resort & Spa! This resort spa is all modern from the rainforest showers and hydro pool, plunge pool, hot tub, steams, and saunas. 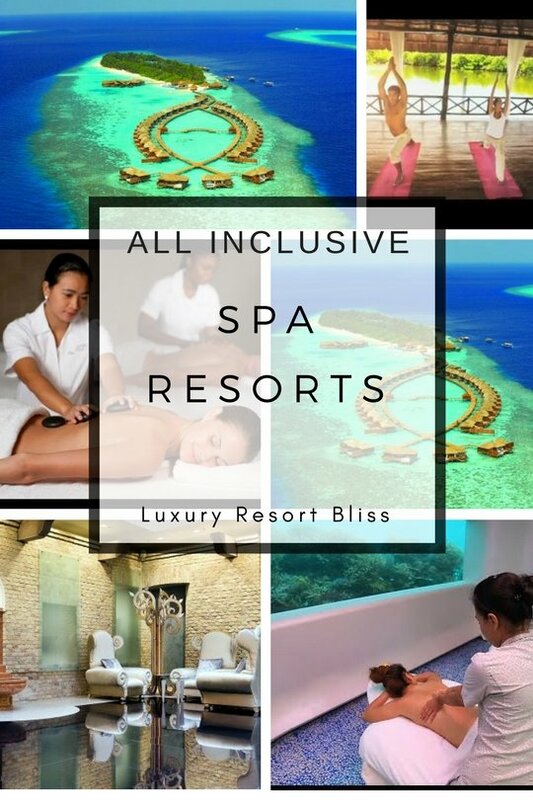 This is a a great (well liked and reviewed) all inclusive resort which you can turn into a dream spa vacation with a little additional cost. 4 star resort with 151 rooms on the beach in St. Crois, US Virgin Islands. There's a full-service spa and a tropical setting on Davis Bay. Get more information and see the latest reviews for Renaissance St. Croix. See all of our Jamaica All Inclusive Resort picks here. Resort & Spa Hotel is a very special Jamaica deluxe spa hotel. It has 540 rooms, a private beach, 3 restaurants, water park, nightclub and full-service spa. A lot to offer here! Luxury spa treatments are amazing at the 5-Diamond All-Inclusive Grand Velas Riviera Maya. This resort was named the Best Spa in the World 2010 and the standard has been maintained. Playa del Carmen is already a completely chilled out destination. There are so many resorts to chose from in Mexico! See top spa resorts on our Mexico all inclusive resort reviews. With 380 rooms, Dreams Riviera Cancun Resort & Spa All Inclusive is 5 star and family friendly. It gets great reviews has great pools and a pyramid! Get more information and see the latest reviews for Dream Cancun. Another good one for the family wit 490 rooms and good reviews. Get more information for Great Parnassus here. We hope you have found a great all inclusive spa vacation resort. For more, take a look at our all inclusive menu on the right. Many all inclusive resorts have a spa.